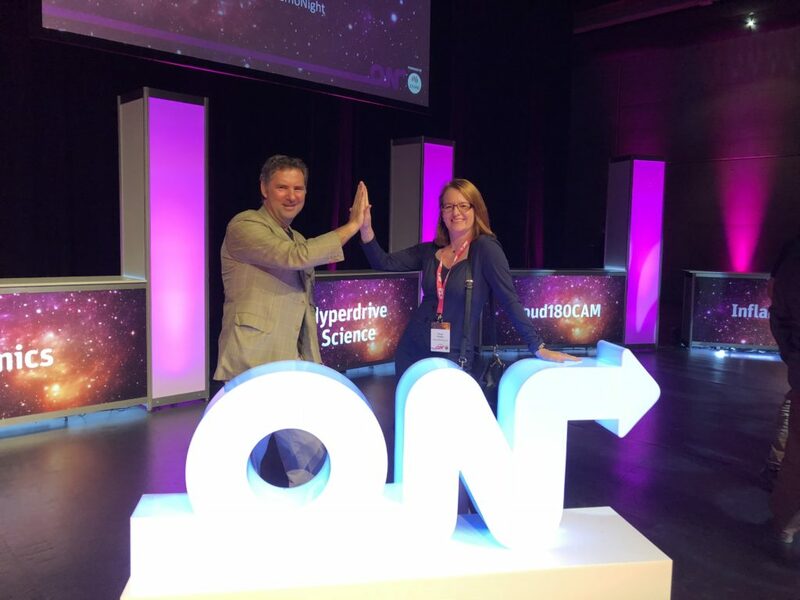 High Five: Congrats to alumni of CSIRO’s Data61 and ON, Dr Silvia Pfeiffer, now CEO of Coviu, and recipient of investment from the CSIRO Innovation Fund, managed by Main Sequence Ventures. When I was a student, I left Australia in 1988 to explore Stanford and Silicon Valley. Stanford is a great university, but like all universities its purpose is education and outstanding research – it wasn’t set up to do translation or innovation or any of the buzzwords associated with it. And it doesn’t need to, because its research excellence attracts keen interest from a vibrant innovation ecosystem that has evolved around it. I took on the role of Chief Executive at CSIRO because I believe it is the natural bridge between the partners needed to catalyse that ecosystem in Australia, and so my children, in fact all our children, won’t have to leave as I did. As we see progress on CSIRO’s Strategy 2020, and the Australian Government’s National Innovation and Science Agenda (NISA), the Australian innovation system is starting to feel like Silicon Valley did to me in the late 80s. Last week marked a watershed moment for Australia’s innovation future – and more specifically, the critical role we play at CSIRO as Australia’s innovation catalyst, bridging all parts of the innovation ecosystem together to drive our national performance. The announcement of investment from CSIRO’s Innovation Fund, managed by Main Sequence Ventures, into telehealth spinout Coviu is a phenomenal first proof point in our new approach to commercialising research. Coviu brings easy digital consultations to rural and regional Australians. The cloud-based healthcare experience makes augmented consultations with a clinician possible online with easy, one-click video communications combined with intelligent diagnostic and workflow tools. It was developed from brilliant Australian science, incubated in CSIRO’s Data61, accelerated through the ON program powered by CSIRO, and this week securing funding from the CSIRO Innovation Fund, managed by Main Sequence Ventures. Almost none of those steps would have been possible just two years ago. Australia’s widely discussed innovation dilemma centres on how little of our world-class science and tech research is translated into commercial successes that deliver jobs and shape our industries of the future. Last month, UNSW Vice Chancellor Prof Ian Jacobs proposed the creation of a new Australian Research Ready Fund. It would play the same role as the recently launched Medical Research Future Fund, but instead supporting the translation of more research funded by the Australian Research Council into commercial success. However, we’re a few steps ahead of him. When Prime Minister Malcolm Turnbull unveiled his signature National Innovation and Science Agenda, or NISA, at the end of 2015, CSIRO expanded its role in the national innovation ecosystem in three critical ways. Data61 was created within CSIRO as the nation’s leading digital research network, tasked with creating our data-driven future and bringing the power of digital through everything that CSIRO does. The ON Accelerator, powered by CSIRO, was set up to take teams from across the publicly-funded research sector through an intensive, customer-focused program to translate their research into investment-ready products. And funding was allocated to create the CSIRO Innovation Fund, managed by Main Sequence Ventures, to invest in market-ready innovations and support their growth to scale, and in due course, delivering returns to the Australian economy and back into more Aussie research. The NISA initiatives responded to the compelling vision we laid out in CSIRO’s Strategy 2020. We’re now halfway through our Strategy period, and this week’s news is further evidence of its success. In particular, the work we did to realign a number of our CSIRO teams to create a unique health group is shaping our nation’s future wellbeing, and contributed to the creation of Cardihab, our very first ON graduate to secure VC funding in the absence of CSIRO’s fund. And in a sector where women are still significantly under-represented, Cardihab founding CEO Leonore Ryan demonstrated that diversity is indeed the compass to navigate innovation. Individually, all these new initiatives are making strong early contributions in a space where runs on the board take time. Innovation isn’t easy, and it’s important we remain committed to the long game. But this week’s trifecta for Coviu is a critical first example of what’s possible when all the moving parts align. It’s also wonderful timing, as last week we unveiled the ten latest graduates from our ON Accelerator, showcasing market-ready solutions from Australia’s research sector, in this round including CSIRO, University of Newcastle, University of Western Australia, Macquarie University, Curtin University and James Cook University. Their pitches to the investment community ranged from a solution to beat current costs and delays in new drug development, to a new diagnostic tool for gut disorders, to a virtual reality solution for training carers safely, among many others. This is the fourth cohort to graduate from the accelerator since its inception in 2015, and every group has continued to raise the bar in terms of scientific excellence and potential to really change the world. Importantly, this cohort continues the tradition of ON to attack Australia’s National Missions – major national challenges like solving our innovation dilemma, becoming the healthiest nation on earth, and saving the Great Barrier Reef. In this short period, more than 200 teams have been through the ON accelerator or one of its satellite programs, representing more than 30 research institutions across the country. About 30 teams have gone through our full, intensive ON accelerator, going on to receive $4.7 million in research commercialisation grants. Of that 30, seven have formed companies, raising $9.9 million investment. By international comparison, the National Science Foundation’s I-Corps program averaged 500 people going through the program each year in its first years, generating 60 start-ups, but only raising $5 million in capital. That’s 60 teams raising half the amount of only seven ON teams – and in the smaller Australian investment market. Part of this success is because we built ON to be a lot tougher than I-Corps – it’s more focused and aligns our funnel of innovation more closely to the venture capital funnel. In fact, we’re even playing an active role in shaping the venture capital funnel with the first eight investments now made through the CSIRO Innovation Fund, managed by Main Sequence Ventures. All the investments made through the Fund must meet criteria around tackling national challenges. In Kyoto in 2015 I proposed to the heads of the global national science agencies that, as a group, we are the natural bridges to help universities translate their great science into real world impact, and last year I’m proud to say they agreed in a formal statement at the annual STS Forum in Japan. This bridge to drive innovation is possible because CSIRO has spent the better part of a century taking concepts through TRLs – technology readiness levels – to deliver products to our partners in industry that hit the ground running. Everything we do at CSIRO is aligned to strengthening our existing major national industries, and creating new ones. While not the most exciting part of innovation, alignment is one of the most powerful levers we have to pull hard as a nation with a small population – and one of CSIRO’s natural strengths. Over our century as Australia’s national science agency, we’ve always aligned our areas of research to our nation’s greatest challenges and opportunities, from reinventing Aussie wool to breakthroughs in new energy technology, for example. Australia’s industries and jobs of the future will come from investment in innovation to tackle our nation’s biggest challenges, which is at the heart of everything CSIRO does. Today we see the future of healthcare in the promise of Coviu; tomorrow you can cross any number of CSIRO bridges to see what’s on the other side of innovation.